NextLabs Aerospace & Defense solutions allow companies to enhance protection for technical data and intellectual property by applying policies to control data handling, sharing, and export to ensure only authorized users are able to access sensitive information. Comprehensive audit and reporting enable companies to demonstrate compliance with government export regulations across the globe, including ITAR, EAR, German BAFA and UK Export Control Act. NextLabs policies enforce the proper handling of Controlled Technical Data (CTD) that is subject to regulatory scrutiny. These policies are based on real-time information about the user, data and environment (attributes), which are considered before granting access to CTD. The system only allows access if conditions for authorized use, such as nationality, license authorization, location, device, and project are met. The process is automated and seamless to the user. Collaboration inside the enterprise, with remote offices and mobile workers, and outside the enterprise, with extended supply chain partners and outsourcers, can now safely take place. Improper disclosure is prevented and all activities are centrally monitored to demonstrate export control compliance. Control internal information flow to avoid improper communication and collaboration that results in compliance violations. Segregate CTD across the organization and apply consistent controls to prevent access of CTD by unauthorized employees. Enforce fine-grained policies to ensure only authorized users can share specific information under appropriate conditions. Assist users to handle CTD internally with proper discretion by simplifying workflow and providing handling information to avoid unintended misuse or data loss. Monitor data access and usage, discover anomalies, and remediate issues to ensure compliance. The solution protects CTD, trade secrets and confidential information to enable safe collaboration and communication during research and development, and when sharing information with supply chains and other partners. 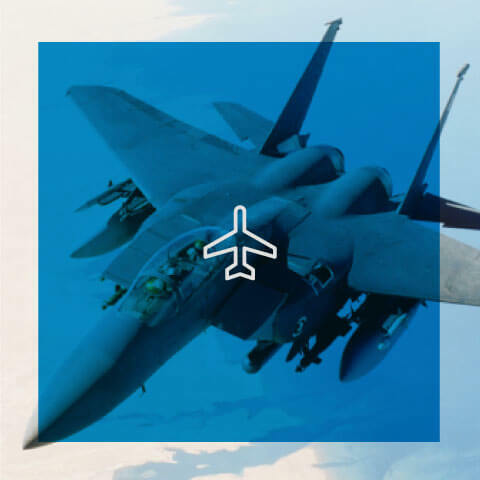 NextLabs Aerospace and Defense solutions incorporate best practice controls, compliance procedures, information policy objects, and data protection libraries and reports. Policy sets are easily customized or can be used as templates to create new policies. Only qualified personnel are able to access and share CTD, with qualified recipients. Attributes about the user, the data and the environment must match with the policy governing the data before access can be granted. If users try to access or share CTD and the attributes for granting access do not match, workflow can be automatically initiated to gain approval. CTD is stored only at locations accessible by export-certified project teams (PDM sites, encrypted desktop folders, controlled file shares, etc.). Export-controlled CAD/CAM and other design documents are automatically encrypted when uploaded and before being shared. The NextLabs policies created to manage CTD can be adapted to protect all classes of data within the enterprise, including company intellectual property, trade secrets, and other company-confidential information. Data is protected when it is inside applications and after it leaves applications and is being shared. Protection persists throughout the sharing process. Reports notify project managers and team members whenever a user tries to export technical data outside of the export-regulated project collaboration locations. Centralized visibility enables organizations to prevent non-compliance activities and maintain comprehensive reporting for audit and compliance purposes. Learn how A&D companies can now comply with regulations for export restricted information and prevent data loss. Read about how NextLabs helped Lockheed Martin secure their supply chain.